Please note: Coupons and discounts cannot be applied to online purchases. Season tickets cannot be ordered online. We apologize for any inconvenience. Further discounts are available by contacting the box office for: seniors, students, subscribers and groups of 20 or more. 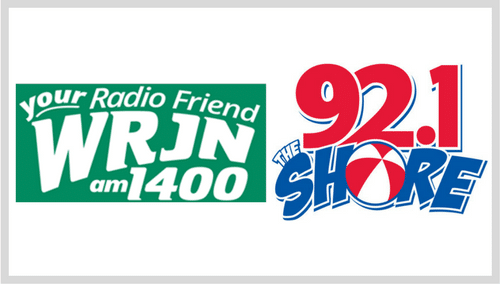 Monday – Friday: 12 p.m. – 6 p.m.
His music is legend. Andrew Lloyd Webber has produced some of the most memorable tunes in all of musical theatre. From Phantom of the Opera, to Joseph…, Cats, Evita, Starlight Express, and more – it is all here in a concert finale that you will not soon forget. Don’t miss this vocal extravaganza that will pay tribute to the SUPERSTAR of Broadway. NOTE: The 2 p.m. performance is SOLD OUT! 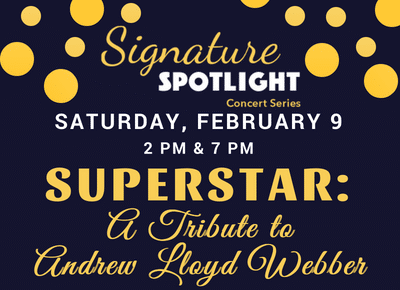 The Signature Spotlight Concert Series is a trio of musical revue concerts featuring current volunteers, professional musicians and singers, and school and civic band and choral groups from the Racine county area. With a variety of themes and song styles, each performance appeals to a wide variety of audience members. Additionally, a Spotlight Star, a talented student from an area high school, will be featured in each concert.